Munga or giant miracle fruit is also a native of West Africa like its more famous relative miracle fruit (Synsepalum dulcificum). This fruit, however, has a much taller plant. Moreover, some people are of the view that it does not have that strong effect on desensitizing the sour taste perceiving taste buds of the human tongue. But still it does make sour limes or sour apples taste sweet. Fruit nearly round, 2.5 cm wide, thin skinned, red or yellow, about ¼ cm wide nearly translucent flesh which is sweet and tasty when ripe. Seed large, occupying most space of fruit. New plants of munga are raised from seed only. The seedlings may take 2-5 years for coming into bearing. 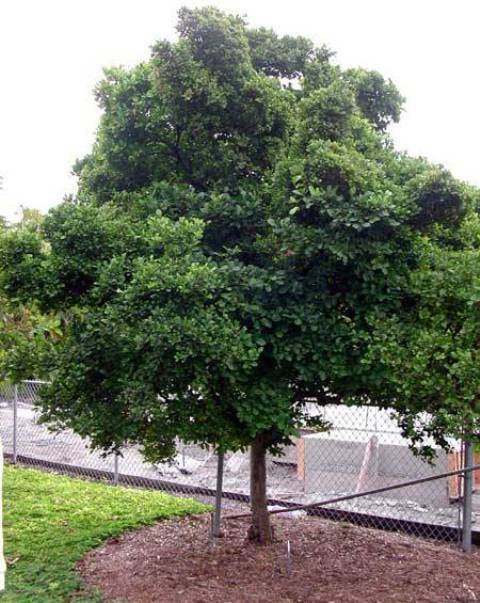 1) Water munga: the largest of the munga trees, it is found growing near water. The fruit is heart-shaped and comes in colors from red to yellow. 2) Small forest munga: a small tree with shorter leaves, subsequently, the fruits are small too, about the size of the end of your little finger. 3) Village munga: curiously, found mainly in village settings. This red fruit is twice the size of the small forest munga and is the S. subcordatum. 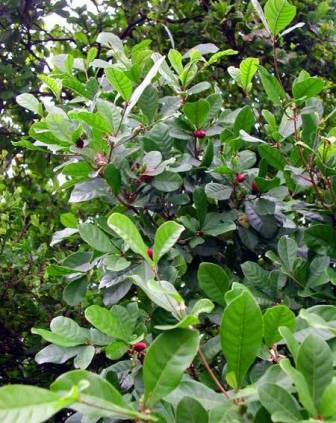 4) Large forest Munga: a robust (20m) tree with abrupt oblanceolate leaves and dark red fruit (3cmx 2cm). It can withstand 6 months of drought. Munga fruits are sweet and edible. The fruit has a unique glyco protein that inhibits tastebuds’ perception of sour taste for half an hour to a couple of hours. Therefore eating munga enhances flavor of grapefruit, strawberries, and makes beer taste like a malta soft drink. 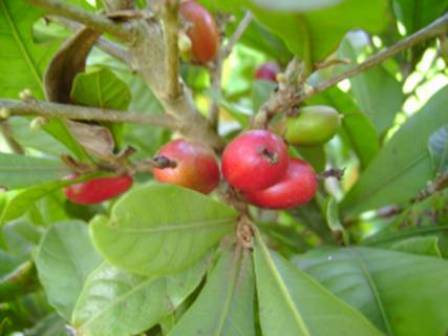 This fruit has successfully been used as an appetite stimulant for persons taking chemotherapy medicines. Munga is often planted by people in home gardens as a sample plant because of its interesting property of making sour fruits taste sweet. All the family enjoy its tricky entertaining quality. Munga is basically a tropical plant, so naturally it will not withstand cold. It will not fruit in case the winter temperature goes below10 C. However, if the location is suitable and the plant starts fruiting, then a single mature tree can produce upto one thousand fruits. Propagation is by seed only.